Student life broadens horizons and brings new opportunities to explore. This impacts students in many positive ways, through discoveries of new people, new cultures and new environments. But it also implies new risks, such as alcohol abuse. The European student organisation Erasmus Student Network, the biggest EU volunteer structure with 15 000 volunteers in 39 countries, and Pernod Ricard, a worldwide leader in wine and spirits, launched 10 years ago the ‘Responsible Party’ programme which aims at reducing harm and raising awareness during student parties by empowering students through a peer to peer approach. A two-year evaluation of the programme showed the positive impact of such a prevention programme, concluding that smart prevention works. As the Responsible Party first event celebrates 10 years, it can inspire the breakdown of silos, encouraging stakeholders to work together on health and well-being challenges for and with students. Students are Europe’s future leaders. They should have the opportunity to learn, grow and evolve in a secure environment. 2019 is a decisive year for the future of Europe. The voice of European students deserves to be heard to understand what they expect and how Europe can empower them to build a responsible, active and healthy Europe. -What kind of Europe do you want to foster European students wellbeing? -What can you (EU policies, stakeholders, civil society) do to help? Who needs to do what to deliver? -How can initiatives like Responsible Party provide inspiration for the future European action? 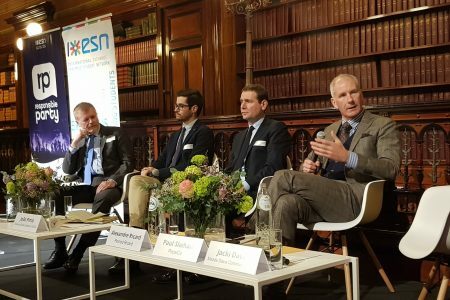 “Information is power,” the boss of French spirits maker Pernod Ricard told EU policymakers last week, underlining the fundamental role of consumer education in reducing alcohol abuse, particularly among students.